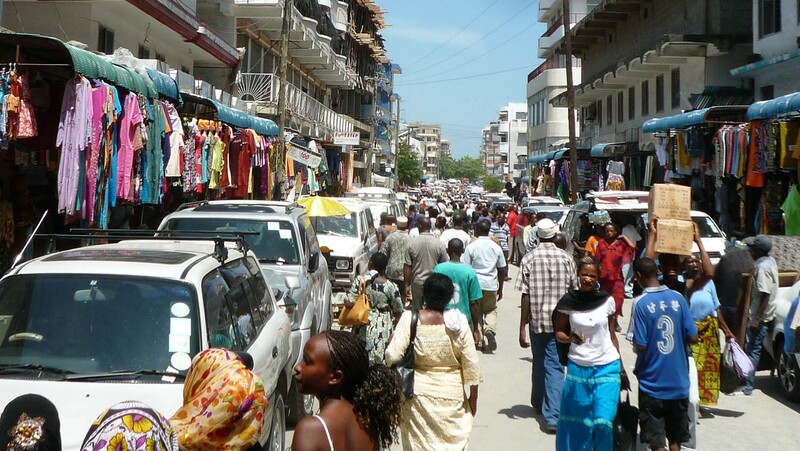 We’re in the vibrant city of Dar es Salaam, Tanzania’s former capital and one of the world’s fastest growing cities. In the last years, the skyscrapers, buildings and shops have flourished here at a rapid pace. And this is not surprising, as Dar es Salaam is still the Tanzanian capital for everything related to fashion, media, music, film and television. It’s also a leading financial centre. But start talking to the inhabitants, and you’ll understand that this amazing expansion didn’t come without its troubles. Power cuts are, for instance, a recurrent issue. “Lights go out about a hundred times a year”, explains Diana Mbogo who was born and raised here. “This, of course, hinders economic development enormously,” she continues. Diana knows what it’s like to not have access to energy, but she decided to transform this challenge into an opportunity, and started her own renewable energy business. Dina participated in the Energy Change Lab, hosted by Hivos and IIED. Diana was still a student, pursuing a Bachelor of Science degree in Mechanical Engineering, when she became inspired to work in the field of renewable energy. During an academic field project, in a team of seven students, she constructed a wind turbine to power a primary school in rural Tanzania. Thereafter she increasingly focused her research projects on energy access. In 2015, a fellow student showed her an advertisement posted in Buni, an Innovation Hub in Dar es Salaam, calling for applications to join a 5-day learning programme where the main challenges around energy access issues would be explored. A good match, it seemed. Coincidentally, the advertisement was published by the Energy Change Lab of Hivos and IIED. In the Energy Change Lab, Hivos and IIED work with pioneers, like Diana, to launch sustainable and people-centred energy businesses. The Lab is driven by the principle that enterprising young people have the ability to transform their energy system to power their businesses and lives, as well as the lives of others. Diana is the epitome of this. The Energy Change Lab aims to encourage entrepreneurs to launch sustainable and people-centred energy businesses. “What drives me is the realisation that energy is the backbone of development. I don’t believe any community can develop unless it has access to it. Energy means access to information, the ability to work more productively and for more hours. It means lighting and security. It’s civilisation. However, more than half of the population of Tanzania doesn’t have access to energy. I see it as my duty to change this. We’ve only just started, but business is going well. The market potential for renewable energy is great,” Diana explains. This year, the Energy Change Lab organised a new Safari in Arusha and the surrounding rural areas. For a week, youth from diverse backgrounds put their heads together to answer the question of how to foster productive uses of energy in rural villages that have been electrified with mini-grids. As in the 2015 edition, participants came up with fresh and interesting ideas that are currently being further developed. The mission to shake up the Tanzanian energy landscape is definitely being taken on by many! Access to the grid on small archipelago islands is hard to come by. We now leave lively Dar es Salaam for a quieter community located on the tropical Indonesian island of Flores to meet the inspiring woman entrepreneur, Margaretha Subekti, or Ibu Bekti as she’s lovingly known. ‘Ibu’ is a warm, colloquial term meaning ‘Mama’ or ‘Mrs.’. 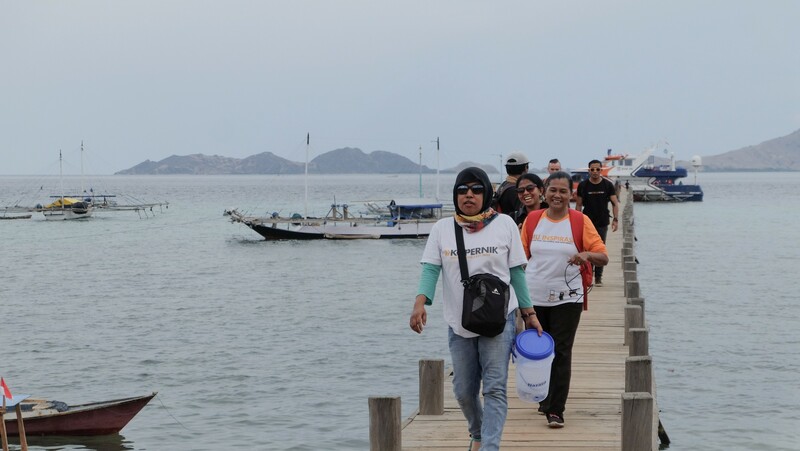 Access to the grid on small archipelago islands like Flores, particularly in rural villages such as West Manggarai where Ibu Bekti resides, is hard to come by. Such rural communities must rely on off-grid renewable energy sources to power their homes, schools, workplaces to meet their livelihood needs. Ibu Bekti has taken on this challenge of improving energy access in her own community by capitalising on the power of two things for which she is very passionate — the environment and women’s empowerment. She chooses to live and breathe her commitments to the environment and to women by selling or trading clean energy products and empowering other women to do the same. 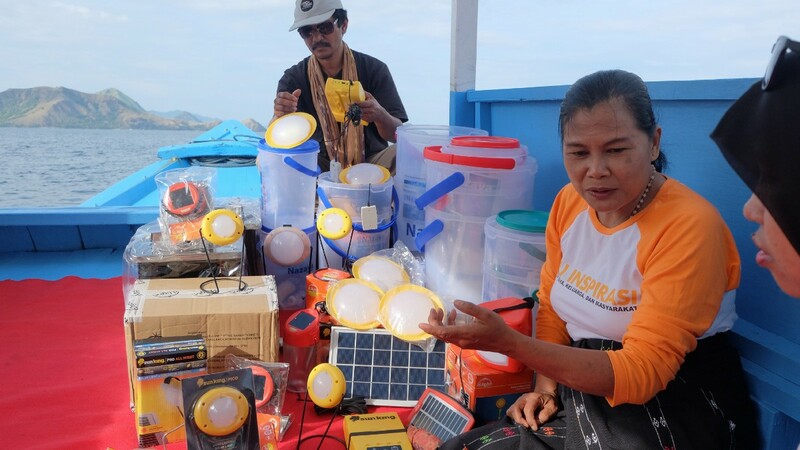 Ibu Bekti is a prominent figure in her community, utilising the business and sales skills obtained through Kopernik’s Wonder Women programme, which is supported by ENERGIA. She is an exemplar of the training programme, having motivated many other women around her to improve their incomes and livelihoods for their families and communities. She, for example, supports 30 women in three different women’s groups by providing peer support during recycling and upcycling projects with them. She moreover manages a team of eight women entrepreneurs who help her sell the technologies, making for a strong presence in the West Manggarai market. Together, she and her team have sold over 300 clean energy technologies, including solar lights, water filters and biomass cookstoves within the community. The women who help Ibu Bekti receive commissions from the sales. Ibu Bekti is confident when speaking in public about issues for which she advocates. She radiates positivity, which engages those around her to listen and take note. She takes a slow approach when introducing the new technologies to people around her as she recognises it takes time to build a full understanding of issues like clean energy. She believes that distributing the technologies is both good for the environment and for women in her community to make money and live healthier lives. As a result, she is determined to share them with as many people as possible. “If I cannot explain the benefits of these technologies in one meeting, I will explain it again, and again, and again,” she gently expresses with a motherly tone. 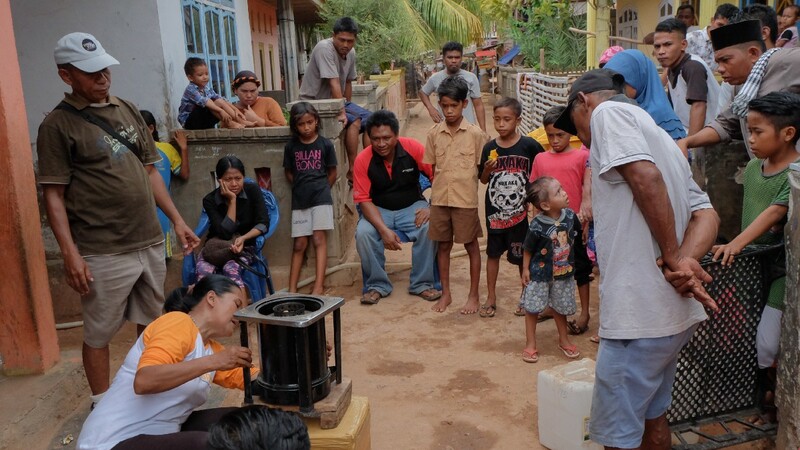 Ibu Bekti has taken on this challenge of improving energy access in her own community. Given her devotion to the environment, women’s empowerment and education, she has also established Rumah Pintar, or ‘Smart House’ in English, a community group that offers women and children in her neighbourhood access to any kind of support they need. This includes those who may have experienced broken relationships with their families or suffer from various illnesses, among other situations. Her ‘house’ is always open. She trains and guides many women in activities including producing handicrafts, recycling practices, and organic vegetable farming. Diana and Ibu Bekti are two incredible women, in two separate parts of the globe, who are standing at the helm leading the global energy transition to cleaner, renewable sources. And there are many more remarkable women and men around the world standing and working alongside them, driving the change everyday in their local and surrounding communities. It is up to the rest of us — individuals, organisations, businesses and governments alike — to join them in order to make clean energy access for all a reality. For the Hivos’ Green & Inclusive Energy group, advocating for greater energy access to renewable energy sources is front and centre. In addition, the group supports a number of partners in several countries, and hosts the Energy Change Lab together with the International Institute for Environment and Development (IIED). The Energy Change Lab finds and supports motivated energy changemakers to initiate and scale sustainable energy systems. The Energy Safari, in particular, prototypes possible solutions among the people that need to benefit from them; all in an unrealistically short time-frame. In that sense, the Energy Safari can be perceived as ‘pre-incubation’; offering a rich and intense learning experience and a process where ideas can blossom. At the same time, ENERGIA seeks to empower women as energy entrepreneurs and strengthen women-led micro and small businesses in distributing sustainable energy solutions to their local communities, particularly to reach the last mile. Next to gender advocacy and research, ENERGIA actively supports a number of partners across Asia and Africa through its Women Economic Empowerment (WE) programme. One of those partners is Kopernik in Indonesia. The goal of the WE programme is to nurture women entrepreneurs by helping them develop their skills in accessing finance, agency building, leadership, as well as business development, such as bookkeeping, marketing and market analysis. 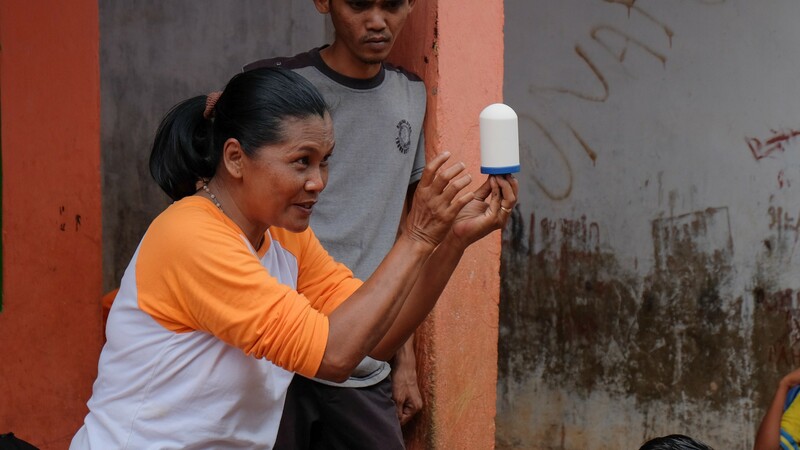 Since 2011, Kopernik has worked with more than 400 wonder women micro-social-entrepreneurs, who have sold almost 16,000 clean energy technologies to date.